As I write this, it seems to me that 2017 went by faster than most years, or are they all going by quicker these days? We started off the year in great shape and came off a wonderful ski season with fantastic conditions at all resorts. We moved into what we thought would be a banner spring / summer but then July brought an unprecedented wildfire season that affected many of our businesses both directly and indirectly. We struggled to get clear concise messaging into our main markets, but even without a ‘fire’ in their path, visitors were reluctant to travel to BC due to perceived air quality and possibly smoky skies. Destination BC provided some additional funds in late summer/early fall to help lift our marketing for what remained of the season. Minister Beare also generously provided $200,000 to KRT, the TOTA region and CCCTA. Details on the tactics using those dollars are listed below in this newsletter. We are hopeful that we are heading into another banner ski season and that all of our winter operators will see excellent visitation and significant revenues. We are working together with the ski resorts and communities to re-energize our ‘Powder Highway’ efforts and build on the incredible equity of that particular trademark as it pertains to the Kootenay Rockies area. Lastly, from our entire Board of Directors and staff, we want to wish all of you a happy holiday season! We look forward to working with all of you in our industry in 2018! 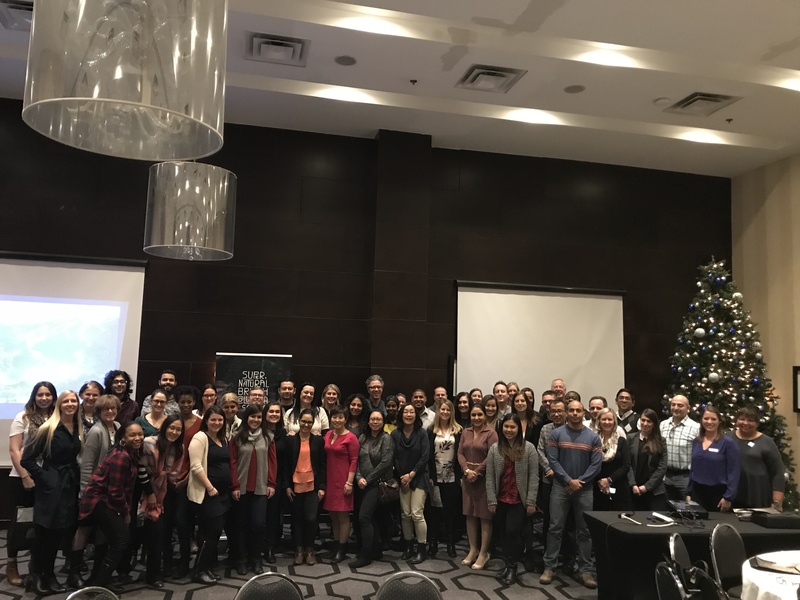 This month Kathy Cooper, CEO Kootenay Rockies Tourism, travelled with Team BC to Toronto and Montreal to deliver presentations to the Jonview staff in both cities. This valuable face to face training is usually held every two years. While in Toronto, Team BC also held an event called Explore BC for the Receptive Tour Operators based in that city. This is similar to the Explore BC event held this summer in Richmond for the Receptive Tour Operators in the lower mainland. Due to the significant loss of business that our tourism operators experienced during the summer of 2017, Destination BC provided immediate funding of $30,000 to Kootenay Rockies Tourism for tactics that would encourage fall travel plans. With this funding, we implemented an advertising campaign that included full-page advertorial coverage in print newspapers in our drive markets – 8 publications with a combined circulation of 2.5 million readers. 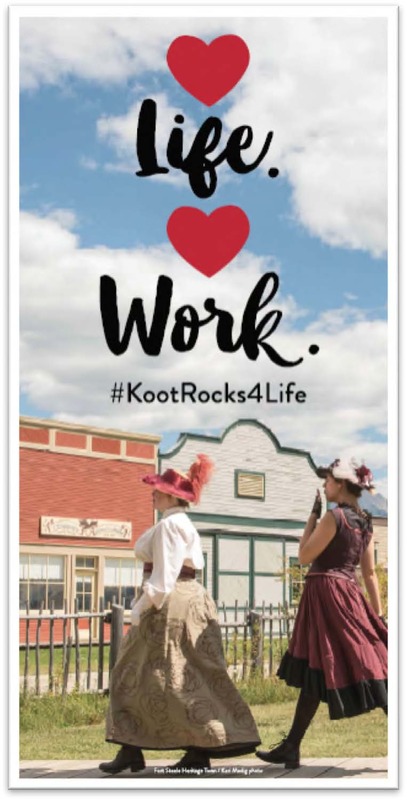 We implemented a social media campaign including boosted posts and paid ads on the KootRocks Facebook page. There were 38 campaigns which achieved 549,410 views and 25,648 engagements (comments or shares). Additionally, there were almost 85,000 video views and 15,372 post clicks specific to this campaign. The ministry also provided $200,000 in funding for campaigns to influence travel plans into the Kootenay Rockies region. This funding will be spent over 2 fiscal years – this current year and into the new fiscal year which begins April 1, 2018. We are working with Destination BC and our regional partners, the Thompson Okanagan Tourism Association and the Cariboo Chilcotin Coast Tourism Association on a targeted marketing campaign to highlight spring and summer activities in our respective regions. Tactics implemented to date, accessing a portion of the funding from the Ministry, include a short-term billboard lease in downtown Calgary on Macleod Trail as pictured above. In the fall, we hired a videographer and photographer to capture some of the fall activities and colours in the communities most affected by the wildfires. The photos are available on the Kootenay Rockies Tourism image bank – search by Fall colours or Kari Medig to find the latest shots. Some of the fall videography is complete but the season quickly progressed to winter, so the project will pick up again in the fall of 2018. Working with Destination BC, we were able to showcase a series of 6 Facebook ads highlighting winter activities in our region, which has the potential to reach their audience of almost 500,000 fans. We will continue to provide updates on the tactics specifically targeted to communities affected by the 2017 wildfire season as the plans evolve. Kootenay Rockies Tourism has purchased bulk space at the two college career fairs in the region. Tourism businesses are invited to join the Kootenay Rockies Tourism Career section. Free of charge for tourism businesses to attend! Register directly with the college through the links above. Mention that you are joining the Kootenay Rockies Tourism section. Destination BC strives to keep BC tourism colleagues up-to-date on all the successes, trends, and breaking news concerning their organization – and the industry as a whole. 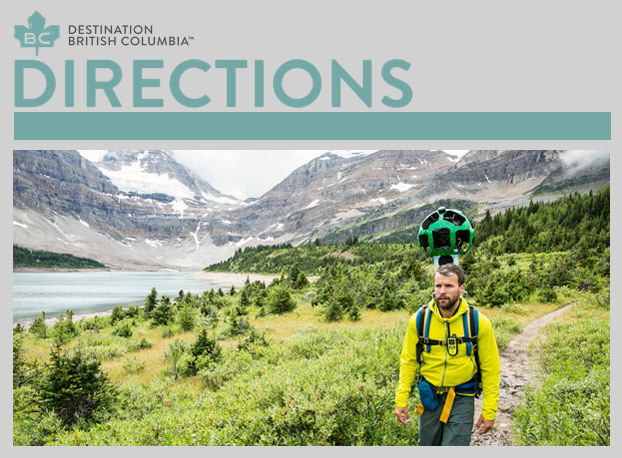 The team has recently redesigned and revamped their free industry newsletter, now called Destination BC Directions. BC Family Day is a non-religious holiday on the 2nd weekend of each February that was introduced to British Columbia in 2013. The date was selected via online ballots of BC residents. Because BC Tourism destinations are heavily booked at holiday rates on the 3rd weekend in February from primarily three markets (Washington State, Alberta, Ontario). BC Family Day the week prior generates significant incremental tourism revenues rather than displacing business. An industry-wide consultation process led by TIABC, Tourism Whistler, The Canada West Ski Areas Association, and other tourism partners looked at the outcome of holding BC Family Day on a weekend already busy with visiting families from neighbouring provinces and states and the findings overwhelmingly supported the decision to consider an alternate date (ie second Monday in February). In view of the government’s intention to change the date of BC Family Day, TIABC is requesting your support to keep this annual holiday on the second Monday of each February. Please visit the TIABC website to review TIABC’s BC Family Day support letter addressed to Premier Horgan. If your organization supports the motion, please send TIABC an email (info@TIABC.ca) with approval to add your name to the list of signatories. On November 24, 2017, at the Canadian Rockies International Airport, WestJet introduced a new regional air service operating under a capacity purchase agreement (CPA) with Pacific Coastal Airlines. Using Pacific Coastal Airlines’ aircraft painted in WestJet colours, WestJet Link will connect the community of Cranbrook to WestJet’s rapidly expanding network hub at the YYC Calgary International Airport. Come experience the evolution of Whitewater! 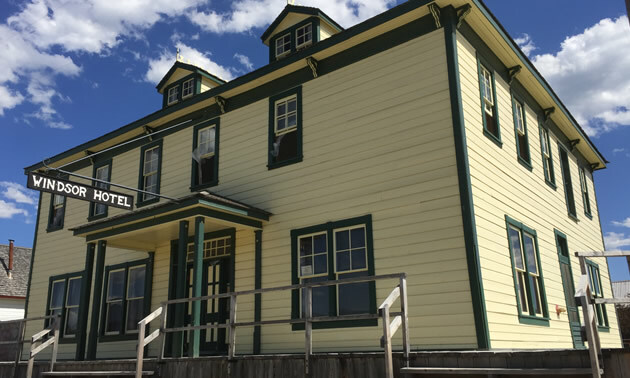 The original Day Lodge, built by the hands of volunteers in the community, has received an overhaul. The top level retains its layout, and what used to be the location of the resort’s Snow School and Rental/Repairs, is a new Food & Beverage area with additional seating for guests. The new Fresh Tracks Cafe Express snack bar will offer smoothies, panini sandwiches, soups and every shredder’s favourite – chilli, as well as a variety of grab and go items. This will also remain as the home of the Ski Shop, with more space to offer more great retail buys, and a new family playroom with exciting play items thanks to their community partner Mountain Baby. These upgrades will provide Whitewater guests with more space and more efficient services. The resort’s parking capacity will increase by up to 75 new spots. Whitewater Ski Resort has also upgraded its original Summit Chair with a brand new Leitner-Poma fixed-grip quad chairlift. 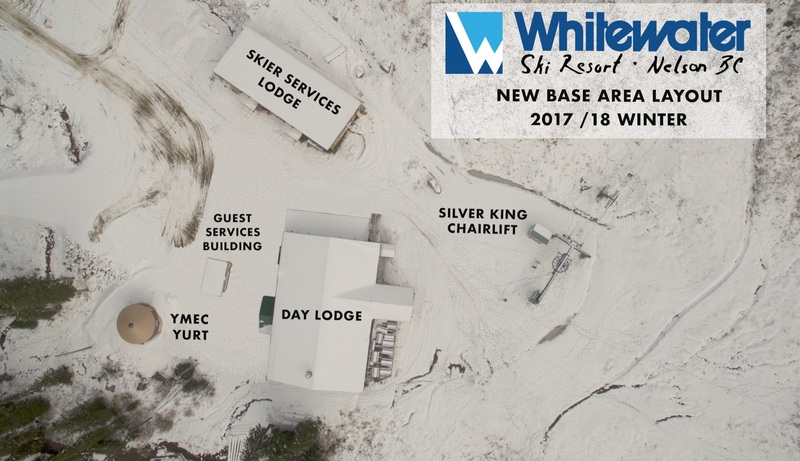 In the same location and in the same alignment as the original, the new quad chair will provide easier skier/rider progression around the mountain, increase the resorts efficiency and decrease the lift’s noise pollution. 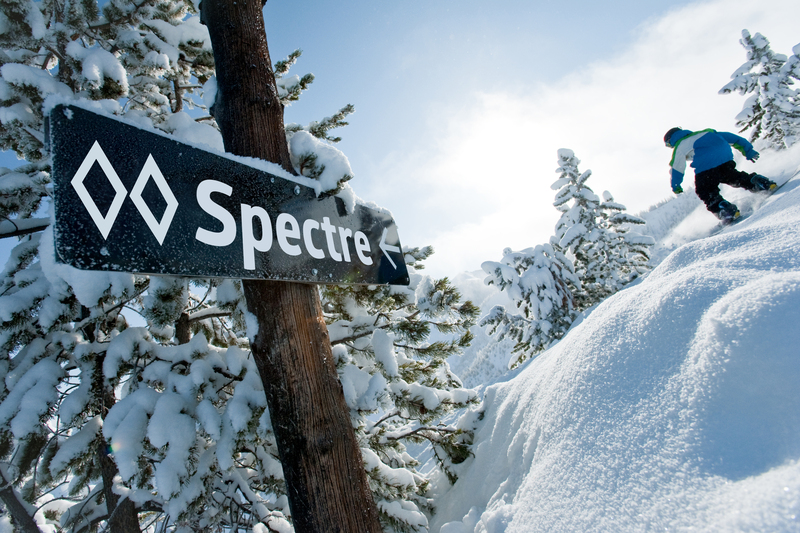 For more information on Whitewater Ski Resort click HERE. Panorama is pleased to announce the addition of four new runs. They’re steep, exhilarating and downright epic! 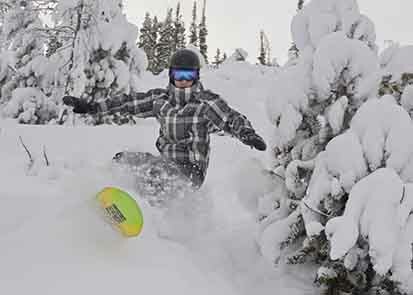 Panorama Mountain Resort now has an additional 128 acres and a further 246 towering-feet of nasty, brutish and long terrain. The Village of Slocan has made the commitment to be the first renewable Kootenay community! The Eco Society presented to council the 100% Renewable Kootenays initiative and the Village of Slocan made the decision to commit to transition entirely to renewable energy by 2050. This is a huge win for the campaign and for the West Kootenay community. This makes Slocan Canada’s 5th renewable municipality, following in the footsteps of Vancouver and Victoria (who already have transition commitments) to become a green energy leader! Congratulations! Built by Robert Mather in the winter of 1893-4, the Windsor Hotel was the better known of the seven hotels operating at Fort Steele during the latter part of the decade. Mather originally named his hotel the Dalgardno House in honour of his wife, Mary-Jane Dalgardno. This building was renamed the Windsor Hotel in June 1899. Including a 40 x 60 foot annex (which has since been demolished), the hotel boasted twenty-seven furnished rooms, a dining room, a bar, a card room and a hall. Great care was taken to restore this iconic hotel with historical accuracy, all the way down to the heating covers. Fort Steele’s hotels at that time, such as the Windsor, Venosta, International and Oriental, advertised as first-class establishments, which offered elegance and comfort to tired travellers. The Windsor stands to this day on its original location and is classified as an official heritage building. The opening date is still pending as the finishing touches, including a hand-crafted railing by the onsite Blacksmith, are completed. The restoration includes six rooms (2 suites & 4 rooms), the dining room, and bar in the original structure. The suites include a queen and a separate room with 2 beds and a private washroom. The regular rooms are smaller (as is historically accurate) with one queen or one double bed and they share washroom facilities. Suites will be available for $250 +tax per night and regular rooms for $150 +tax per night. Baked goods will be delivered fresh from the bakery each morning, served with hot coffee and a selection of beverages. Overnight room rentals also include admission to Fort Steele Heritage Town, and a horse-drawn wagon or sleigh chauffeur! For more information on Fort Steele Heritage Town click HERE. Content & Photo credit: Mark Wolfe & Kerry McArthur – Westworld Communications Inc. The official ribbon cutting is not until June 2018, but the new Yasodhara Ashram temple is open. 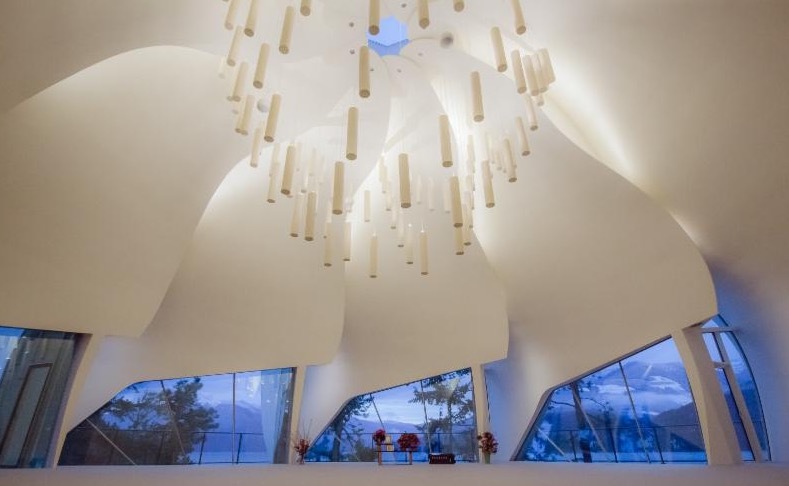 Tours, choirs and other groups and individuals have already experienced the temple’s stunning design and atmosphere of quite and serenity. The Ashram – located between Crawford Bay and Riondel, BC – is community-focused and all are invited. Click HERE for more information. Merry Christmas from the Team at Kootenay Rockies Tourism! We wish you and your families a very Merry Christmas and Happy Holiday season! We also wish your business every success in the coming New Year! and will re-open Wednesday, January 3, 2018. Romantic Getaways in British Columbia, Romance is in the Air by Kate Robertson – BC is one of Canada’s most beautiful provinces so why not take yourselves for a romantic getaway to rekindle the flames. 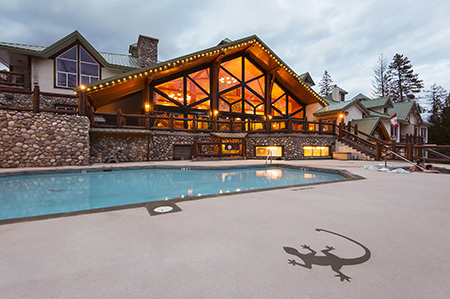 Romance in the majestic Rocky Mountains at Lizard Creek Lodge. Panorama Passion, Experiencing Backcountry-style Snowboarding in British Columbia by Sam Haddad – Home to two, very different, snowcats, is this corner of Canada now the ultimate shred spot? Social or web – the choice is yours. © 2019 Kootenay Rockies Tourism. All Rights Reserved.